Please aim to park in our lot off Delaware Avenue (for GPS directions, use 62 East Delaware Ave.). If these spaces are all taken, you may park in municipal lot #1 (marked with a circled “P” and a “1” on the above map) adjacent to our lot or you may use municipal lot #3, which is across Main Street behind its storefronts. On Sunday morning for worship, you’re also allowed to park in the Barnes & Noble lot (municipal lot #6) adjacent to (just after) our lot on Delaware Avenue. Note: The municipal lots and all parking meters are free from 7 a.m. until 1:00 p.m. on Sundays (in municipal lot #1 simply redeem your ticket in the machine before exiting the lot!). 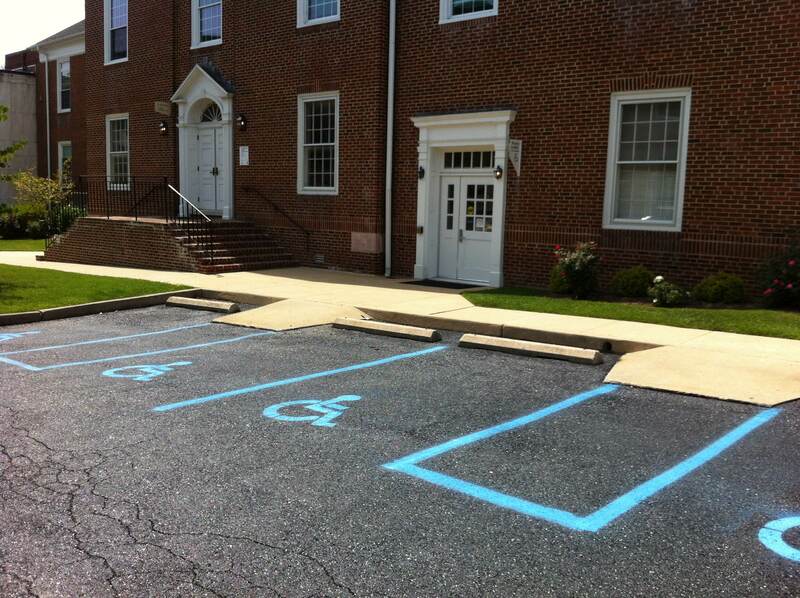 Note: If you have a handicap parking permit, you may park in the few designated spaces we have in our main lot (off Delaware Avenue) or near the side of our building (off Main Street) or for free in any metered on-street parking space in Newark. The entrance to our Welcome Center is handicap-accessible (nearest our main parking lot), and there is an entrance for those who are physically handicapped is on the east side of our building nearest the designated handicap parking spaces. Use the map below to get to our facility. Note: If you’re using a GPS device to get to our main parking lot, input 62 East Delaware Avenue, not our Main Street address noted on the map below. During the week, our facility is quite busy as it is used by many non-affiliated and affiliated programs/organizations. 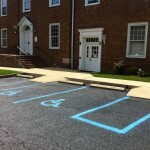 If you are visiting our facility during the week, please park in our lot off Delaware Avenue and then come into the back entrance to the building, up the stairs, and stop in at the church office (first door on your right) to record your name, your license tag number, make and model of your car, and purpose of your visit.